Up On The Housetop – Trombone Choir | McGinty Music, LLC. 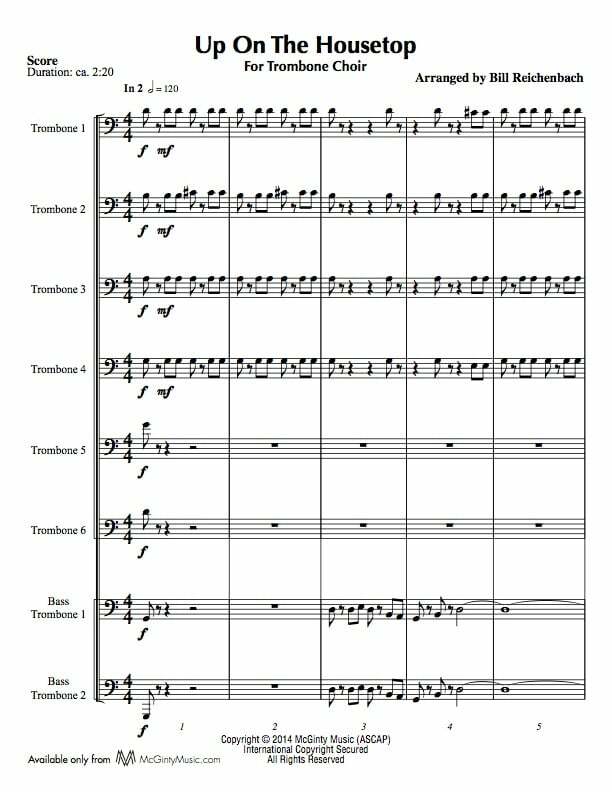 Your plans for this year’s Christmas concert should definitely include Bill Reichenbach’s arrangement of Up On The Housetop for trombone choir. This is such a fun chart that there should be an animated short to go along with it. Bill doesn’t land on just one housetop — Santa and his reindeer visit every house in the neighborhood.